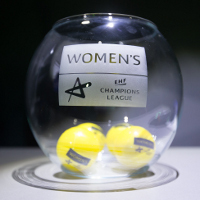 NEWS REPORT: Women's handball at its best will be on display when the TIPPMIX EHF FINAL4 comes to Budapest on 6 and 7 May 2017. One year ago, CSM Bucuresti went all the way to win the EHF Champions League at the EHF FINAL4 in Budapest – but how far can they go in 2017? Following the draw for the semi-finals at the TIPPMIX EHF FINAL4 2017, which took place in the Hungarian capital on Tuesday, we are all set for a repeat of last season’s semi-final clashes as the defending champions take on HC Vardar and Buducnost face Györi Audi ETO KC. “All four teams at the FINAL4 are really good and no matter which team we play against it’s going to be very difficult,” said Bucuresti’s right back, Line Jörgensen. The second semi-final sees Buducnost facing Györi Audi ETO KC once again. “We of course have experience of playing against each other. We will try to stay focussed and know that if we want to win the FINAL4 we have to beat them,” said Buducnost’s Katarina Bulatovic. 2017 marks the fourth edition of the TIPPMIX EHF FINAL4. Matches will take place in the Papp László Budapest Sportaréna in front of more than 12,000 spectators. Buducnost, the 2015 winners, and HC Vardar, who have finished in third place in each of the past three events, have both qualified for all four EHF FINAL 4 events to date. Györi Audi ETO KC won the event in 2014. In 2016 they lost the final against CSM Bucuresti, in the Romanian side’s first appearance at a WOMEN’S EHF FINAL4. With the four participants confirmed, demand has steadily increased over the past few days, but tickets are still available and can be purchased via the official website, www.ehfFINAL4.com.